Whilst eyes worldwide will be on Gleneagles in 2014 for a historical Ryder Cup, there is a wealth of others things in this part of the world that will delight and entertain. 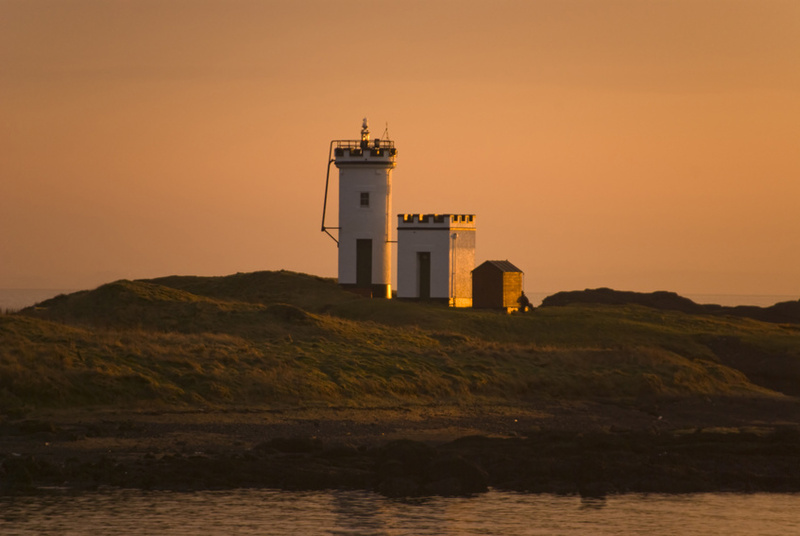 Around the area known as the ‘East Neuk’ (literally meaning ‘nook’) and the inland areas nearby is some of the most beautiful country the British Isles has to offer. Aside from the pristine waters, sandy beaches of the coast, areas like Glenrothes sit right next to the Lomond Hills National Park. In addition to the abundance of natural beauty, this part of the world offers beautiful, tucked away towns and villages waiting for exploration. Whether looking for unadulterated nature, fishing or just something good to eat and a stroll, Glenrothes and Kirkcaldy have it. Unlike many of the surrounding towns, Glenrothes did not exist in its current form until relatively recently. Roughly, 30 miles from Edinburgh, Glenrothes gains it name from the Earl of Rothes, who once laid claim to the land where the town now stands. Originally, a smattering of small, picturesque villages, the town in its current form originates from plans made in the 1940’s. With a newly opened coalmine, the workers needed somewhere to live. Thus, Glenrothes changed and, seeing major development through the next two decades, it came to resemble its current look. Modern in build, but still maintaining local charm, Glenrothes has much to offer visitors. 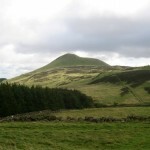 One of the area’s most beautiful features is Lomond Hills Regional Park, which lies just to the North-west of the town. 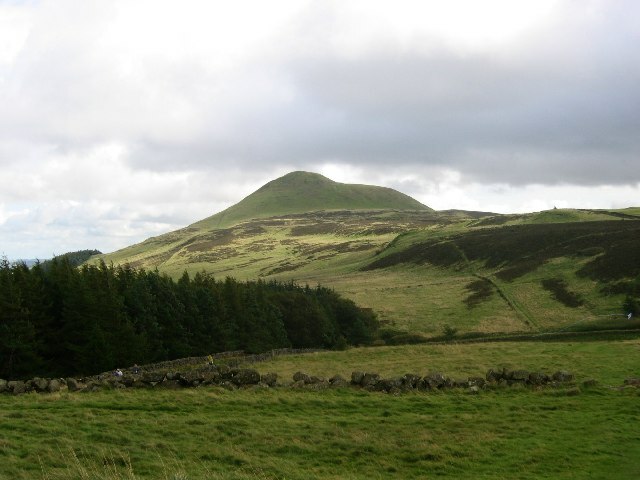 Lomond Hills is one of the most beautiful, and important, areas of natural importance in a country full of beautiful landscapes. 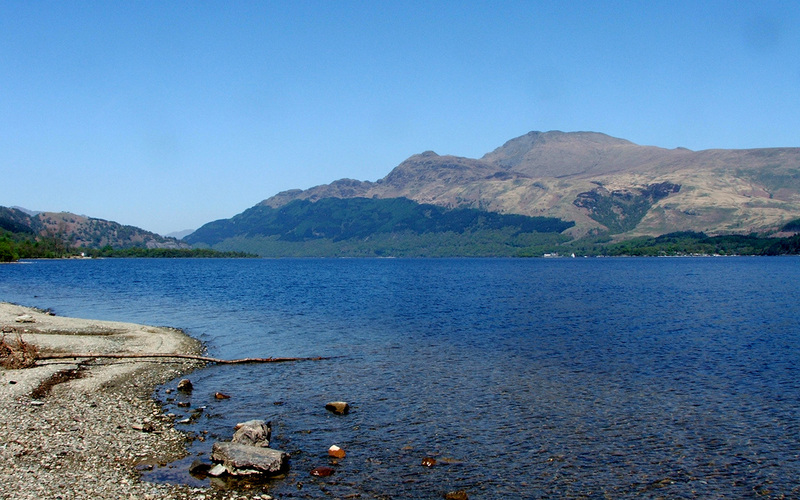 In 1986, it received its designation as Scotland’s very first regional park. 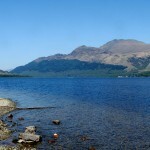 This was a result of the area’s abundant, significant wildlife and the outstanding natural beauty of the place. For those that fancy some good exercise, Falkland Hill is just the ticket. 434 metres high, the summit allows for amazing views of the surrounding country. Intrepid explorers that make it to the top can see for miles, taking in the whole breath-taking vista. In addition, the Fife Coast Countryside Trust offers a lot of interesting information on the prehistoric, and more modern, factors that have shaped the landscape. Aside from hill trekking, Lomond Hills also offers more sedate walking paths, mountain biking trails, woodland walks and three reservoirs offering a top-quality fishing experience. After all, of that fresh air and outdoor activity, it’s easy to build up a mighty appetite and the need for a sit down. Luckily, Glenrothes is home to some great eateries where visitors can rest their weary feet and enjoy hard-earned food and drink. A family-run establishment, the Balgonie Arms is both a pub and a restaurant. The friendly, welcoming staff provides a great mooring for the exhausted hiker or fisherman, serving great, homemade food for good prices. Geared towards families and other groups, Balgonie arms is all about traditional pub food and drinks, with a welcoming, warm atmosphere for the wear traveller. All food is home-cooked on site, with a traditional roast every Sunday. For those looking to take the edge off a chilly day, as September in Scotland can often be, they have a wide range of beers and, of course, whiskies to warm the cockles. 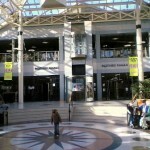 Visitors often praise the warm atmosphere and great prices. Whether looking for respite for tired legs, or just wanting something to eat and drink, the Balgonie arms is perfect. As well as providing all the nature you could wave a stick at, Glenrothes also has a vibrant cultural scene, with Rothes Halls the scion of it all. Hosting theatre productions, comedy shows, dance and much else besides, Rothes Halls is a good-sized venue with enough pull to bring in quality productions and acts. The first floor is host to the gallery, with new exhibitions coming every six weeks. 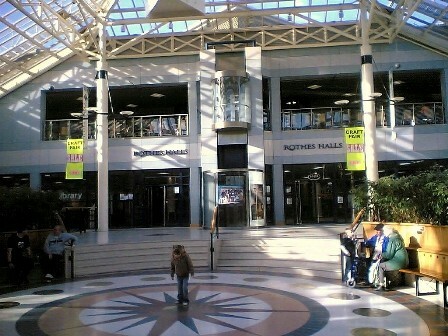 Rothes Halls displays big names and local artists alike, with touring exhibitions regularly dropping in. Once done with all the culture, visitors can pay a visit to the on-site café, which serves hot and cold food and drinks all day. Moving back towards the coast, we come to Kirkcaldy. Unlike the mostly modern Glenrothes, Kirkcaldy has history going back thousands of years. Bronze Age burials, some dating from 2500 BC illustrate just how deep the history goes in the area. 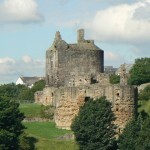 Kirkcaldy itself first saw mention in 1075, when the surrounding shire became the property of the church of Dunfermline. Zipping ahead, the town grew over the centuries until it became a royal burgh in the 17th century. Today, the town is famous for its storied history, beautiful, winding streets and its hosting of Europe’s longest street fair, which takes place every Easter. With an area so drenched in history, no visit could be complete without visiting a castle. 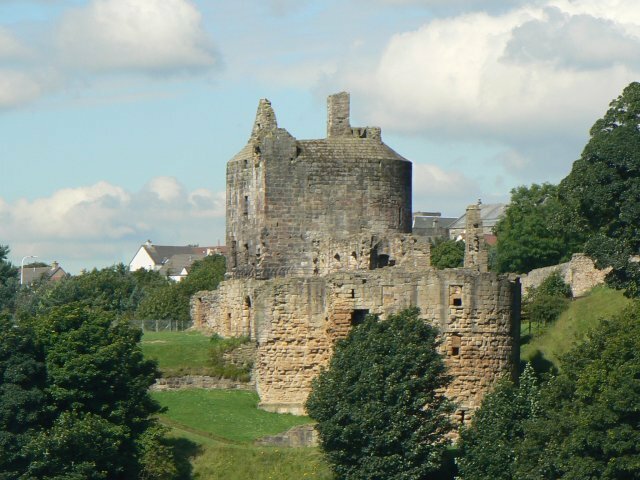 Ravenscraig Castle, dating from 1460 when James II began building on the site for his Queen, is a beautiful example of the war-like times of this period of Scottish history. Now a maintained site, Ravenscraig gives an amazing glimpse into a time gone by, illustrating the dual use of a castle as a residence and a means of defence. Approaching the castle, the battlements are still formidable, showing just where the huge cannons of the day would have jutted out and fired on anyone unfortunate enough to attack. Climb to the top of the battlements and an amazing view awaits. On a clear day, it is possible to see straight across the beautiful Firth of Forth and spy Edinburgh beyond. Just on the outskirts of Kirkcaldy, Ravenscraig is not to something to miss. 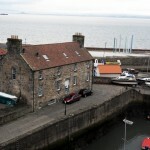 Part of the renowned ‘Fife Coastal Path’, Dysart Harbour is in the Northeastern end of Kirkcaldy. Originally a town in its own right, the years have seen the harbour and Kirkcaldy slowly coalesce into one. 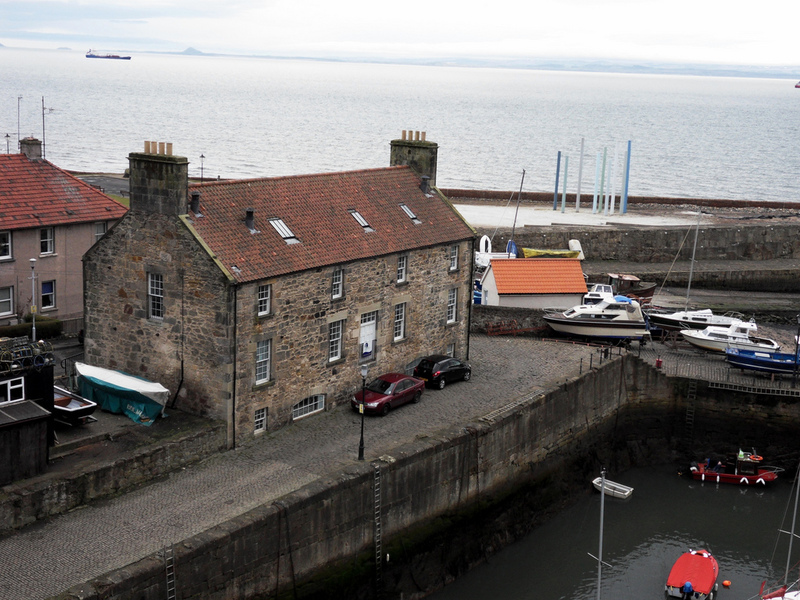 In operation since the 1600’s, Dysart Harbour is a mish-mash of the various periods in its history. Some magnificent buildings date from the 18th and 19th centuries, when the port was prosperous. Other buildings, added in the 20th century reflect another era. As well as the beautifully maintained harbour, the harbourmaster’s house is a feature in its own right. Renovated in 2006 at a cost of £1 million, it is home to a bistro and is the headquarters for Fife Coast and Countryside trust. There are plenty of other small shops and eateries scattered around nearby, so why not grab an ice cream and watch the boats come and go in the most picturesque of settings imaginable.